Lt. Gov. Gavin Newsom has pulled well ahead of other challengers in a new poll of likely voters in the California gubernatorial race, but a Republican contender is in second place for the first time. 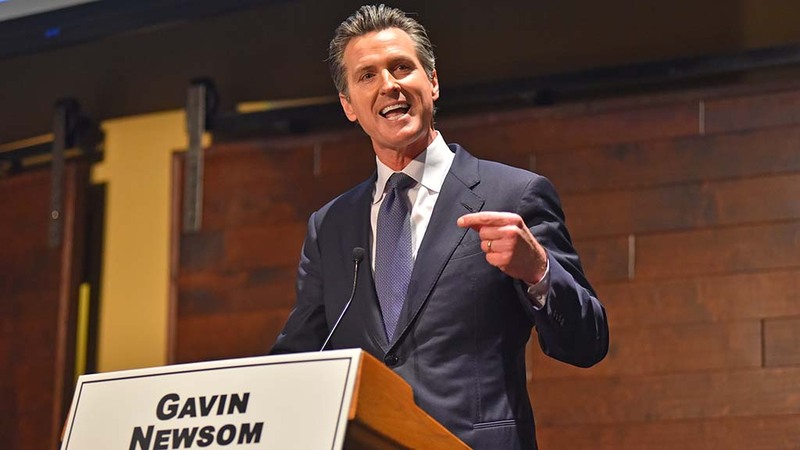 The respected Public Policy Institute of California‘s poll showed Democrat Newsom with 28 percent, Republican John Cox, a Rancho Santa Fe businessman, at 14 percent and Democrat Antonio Villaraigosa, the former mayor of Los Angeles, at 12 percent. In the institute’s January poll, Newsom and Villaraigosa were in a virtual tie at 23 percent to 21 percent with 7 percent supporting Cox. The poll, fielded March 4 to 13, is the first to show a Republican candidate with greater than single-digit support. However, the spread between Cox and Villaraigosa is within the sampling error of 4.5 percentage points. Among other contenders, Republican Travis Allen had 10 percent, Democrat John Chiang 6 percent and Delaine Eastin 5 percent. Nearly a quarter of likely voters remain undecided, according to the poll. In the Senate race, the latest poll showed incumbent Dianne Feinstein continues to lead state Sen. Kevin de León by double digits at 42 percent to 16 percent.